One such example is 'table beer' who's simplicity of term makes it no less an enigma - so what exactly is it? In Medieval Europe brewing (unlike today) was a cottage industry practised in rural communities and produced in its simplest form in the farm houses themselves. It was also the domain of the farmers wife, who along with producing the daily bread for her families sustenance was also responsible for brewing the ale. Whilst water and milk were unsafe to drink, ale was, although the mechanics as to the science behind it were not understood at the time. All people knew is they did not fall ill drinking ale - unless in excess of course! 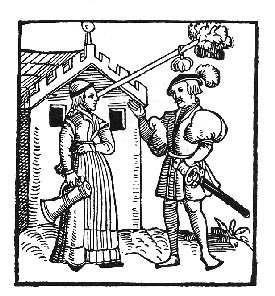 As within most communities reputations were forged, and those ale wives who's wares were deemed particularly good found they could sell their product beyond the farm door, to passing travellers or others within their community. Those invited into the home to sup her ale, and pay for the privilege, were to establish a tradition that is familiar to us today - the first 'public houses' hence the word - pub. Once ready an 'Ale Pole' would be lodged above the door with an Ivy Bush on the end. The Ivy being used as this was considered sacred to Bacchus. This sent a message to the community that the beer was ready - and to come on down! 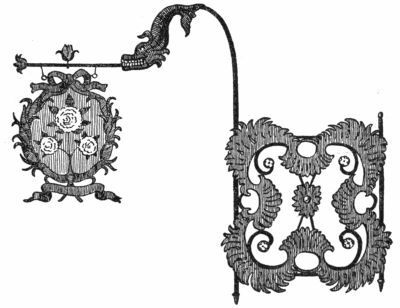 It is also fascinating to see that through this evolution of the extended pole above the exterior door the pub sign was also born, and such signs became more elaborate over the centuries as pubs vied for attention to attract customers. 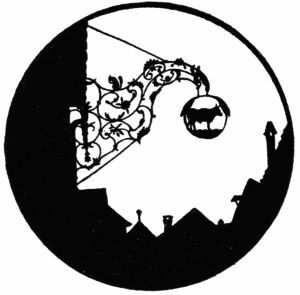 Not only that but in a largely illiterate society up until the end of the 18th Century a pictorial image, of say, 'The George and the Dragon' or 'The Kings Head' as a meeting point was an understanding that could simply be conveyed by word of mouth. So the 'Table Beer' or 'Tafelbier' of today have their roots in medieval times, when such brews also went by the name of 'Small Beer' or Ale. They were the weaker runnings drawn off from the stronger brews, with low enough strengths to be served to children at the table, offering both protection from bacterial infection, and adding nutrition to the diet. 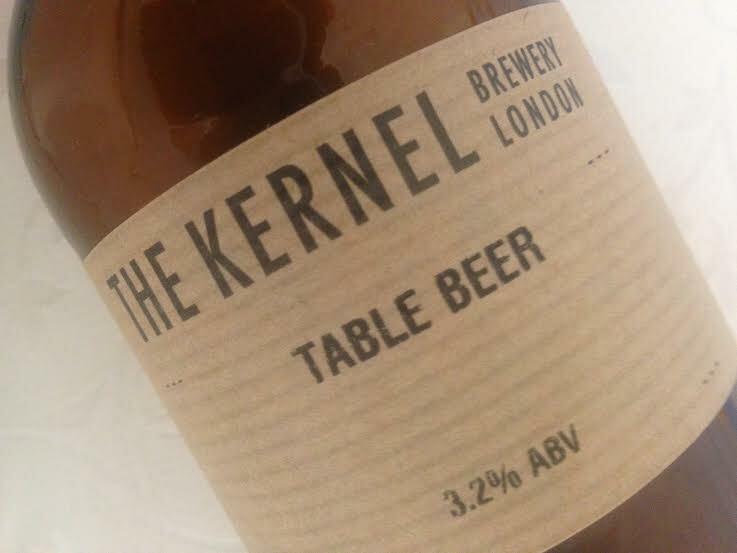 Few of these brews are produced commercially in the UK today, but one that does warrant particular attention is The Kernel Table Beer at 3.2%Alc/vol. Brewers often find difficulty in putting both body and flavour into beers at such low gravities, but the Kernel beer defies this! It is not so much the lower alcohol level that draws your attention here, but the judicious use of hops and how to harmonies flavours. They cleverly combine to the best possible effect and extraordinary complexity. The aroma has touches of tropical and honeyed fruit and is aromatic and heady. The flavour has notes of grapefruit, lemon peel and mandarin zest and a lively refreshing acidity which lingers on through to the finish, but is not over assertive. It is a stunning example of what can be achieved. One other interesting postscript to the story is that in Belguim as recently as 2001, The Lagere Gemengde School re introduced a 'tafelbier' to its pupils in an experiment to counter a new dietary threat - obesity and sugary drinks. The Headmaster himself had drunk tafelbier as a child when he was at school. Ranging between 1.2 - 2.5% Alc/vol. it was a hit with the students, but parental concern that concentration may be impaired (although with the quantity supplied and strength it was unlikely) and the project was withdrawn. It does however remain relevant today, offering new, modern day... food for thought.